Jack Herer, The 70-year old author of The Emperor Wears No Clothes and renowned around the world for hemp activism, died at 11:17 a.m. in his home in Eugene, Oregon on Apr. 15th. The Grandfather of the Cannabis/Hemp movement Jack Herer Was a Brilliant Mind and a special Soul and he will be dearly missed by Friends, Family, and People like me who never had the pleasure or Honor of meeting Him. So I say this 420 we should all celebrate the legacy of Jack Herer for all the knowledge and Love he shared with the world. 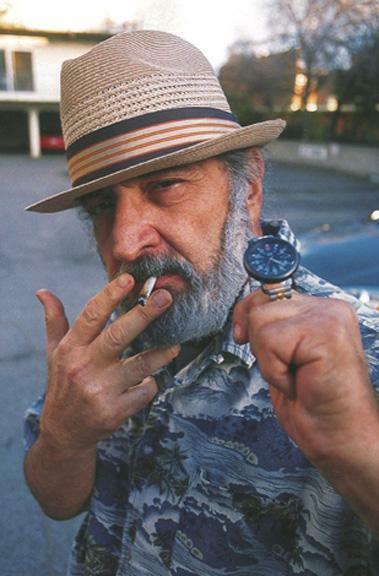 I think we should rename 420 to Jack Herer day, in loving memory of the single greatest cannabis/hemp Activist and Freedom Fighter the cannabis community has ever known. So this 420 when the Clock strikes 4:19 Give a Moment of Silence and remembrance for the hemperor himself, Jack Herer.